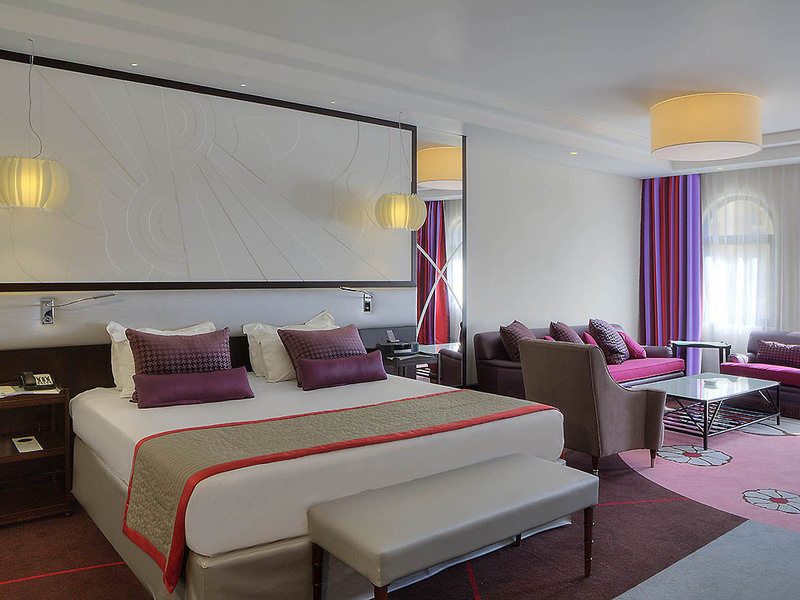 An intimate, sophisticated luxury hotel in the heart of Lebanon's thriving capital, Sofitel Beirut Le Gabriel has a distinctive blend of French art de vivre combined with traditional Lebanese hospitality. 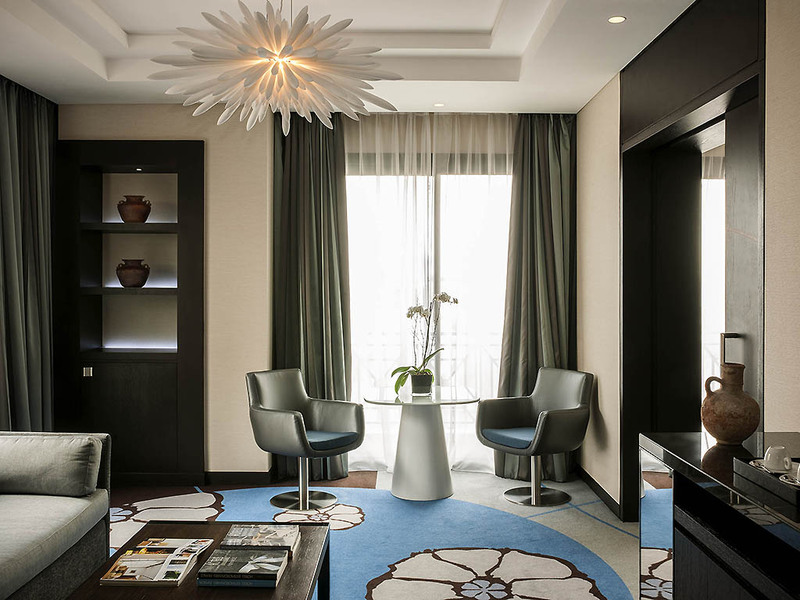 The glamorous energy of the Lebanese capital is reflected in the sophisticated boutique ambiance of this hotel. Interiors, including 63 luxury rooms, 6 junior suites, 3 prestige suites and an opera suite, are an elegant blend of contemporary furniture by renowned Lebanese designers. Please join us for a Magnifique voyage into the heart of Beirut, where French art de recevoir brings sophisticated chic to natural Lebanese warmth. Life is Magnifique in Beirut..
Each Sofitel is a unique blend of French art de vivre and local refinement. 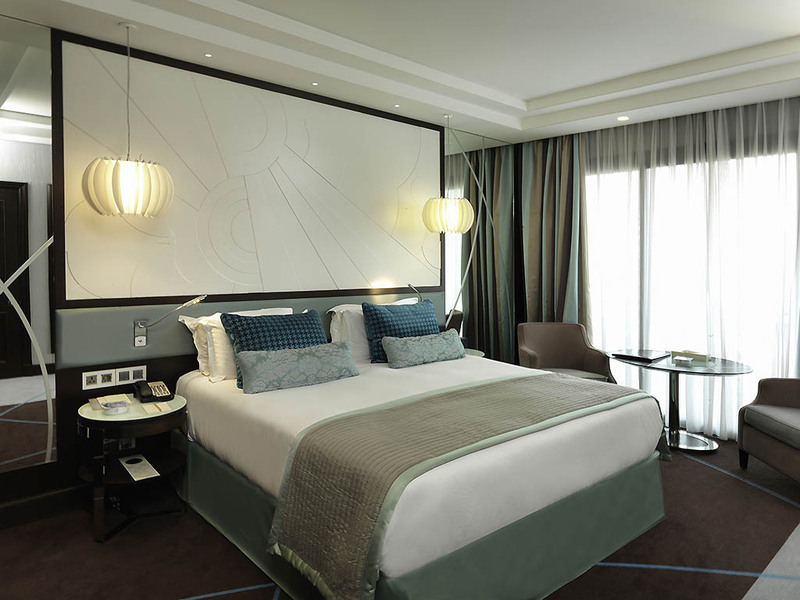 Sofitel Beirut Le Gabriel embodies Lebanese hospitality, French tradition and modern design. It is a gem of tranquility and comfort in the center of the capital. Discover the breathtaking National museum, explore the iconic Beirut Souks, and enjoy a sunset walk along the marina - landmark urban architecture overseeing the Mediterranean. At sundown, Beirut's legendary nightlife awaits! 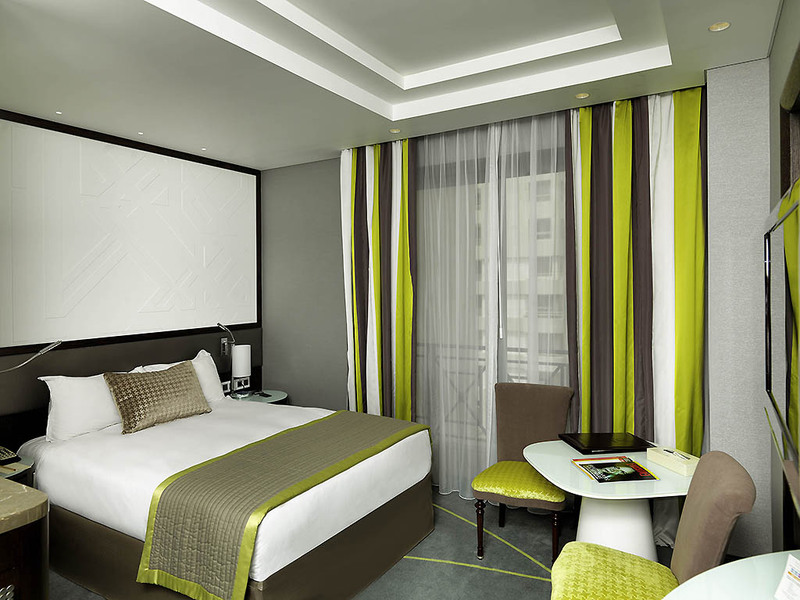 A central hotel in Beirut, convenient for business, sightseeing, shopping and dining. Step out to ABC Mall, Sassine Square with its choice of restaurants, or the nightlife district around Monot Street. Walk or take a taxi to downtown, 3 km away. The hotel is 12 km from Beirut Airport. Take the highway towards Beirut's city centre and exit at Achrafieh. Continue to Sassine Square until Independence Avenue, where Sofitel Beirut Le Gabriel is located. The ultimate in elegance and comfort, all our rooms are beautifully decorated and feature a spacious marble bathroom, two telephones, high-speed Internet access, cable TV, a minibar, an individual safety deposit box. 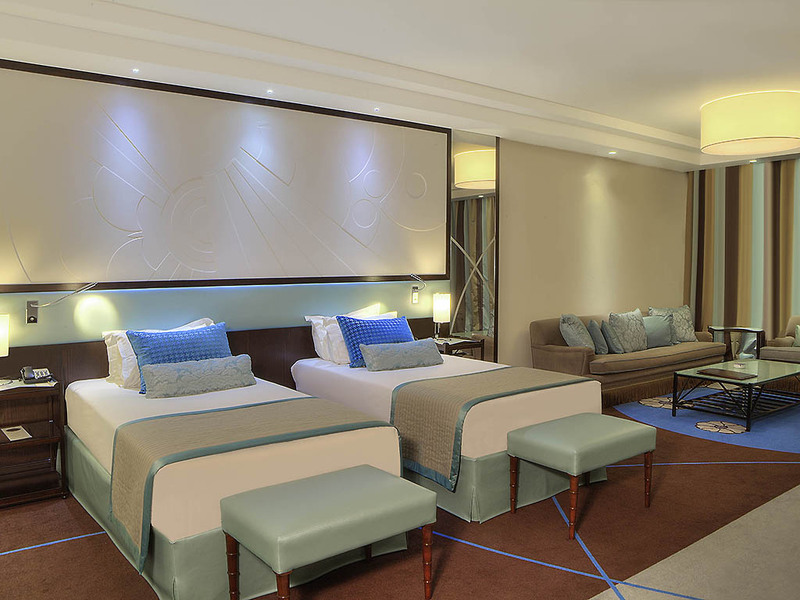 Comfortable living areas add to the appeal of our 6 junior suites and our 3 prestige suites. Most of our prestige suites have a private terrace. 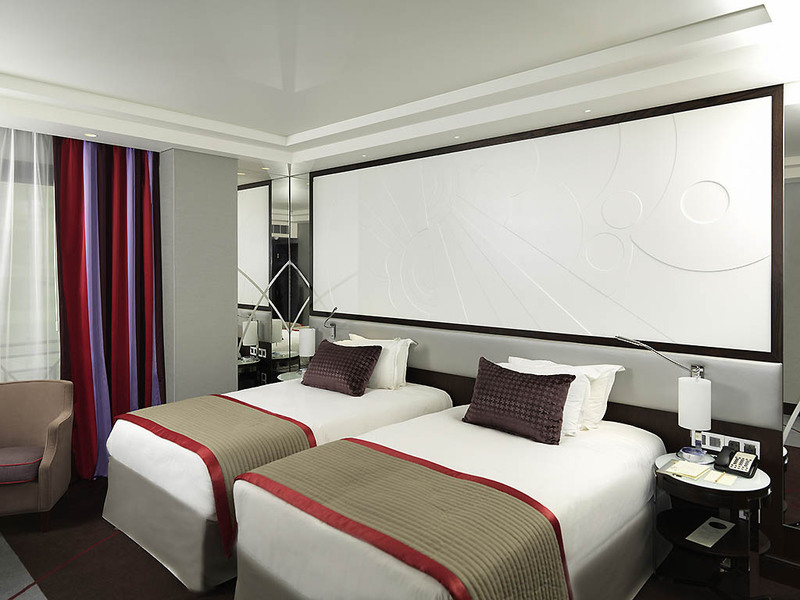 For a special occasion, reserve our spacious opera suite with its separate living room. 30 m²/323 sq.ft, renovated in 2015, Free Internet, 32" TV, Bose radio with iPod dock, bathtub or shower bathroom, free access to Fitness Center and indoor swimming pool. 30 m²/323 sq. ft, renovated in 2015, Free Internet, 32" TV, Bose radio with iPod dock, bathtub or shower bathroom, free access to Fitrness Center and indoor swimming pool. 30 m²/323 sq.ft, renovated in 2015, Free Internet , 32" TV, Bose radio with iPod dock, bathtub or shower bathroom, 1 balcony with a sitting place, free access to fitness center and indoor swimming pool. 60 m²/646 sq.ft, renovated in 2015, Free Internet, 2 TVs of 40" each, Bathtub bathroom, free access to fitness center and indoor swimming pool. 62 m²/667 sq. ft, renovated in 2015, Free Internet, 2 TVs of 40" each, 1 living room, most of them have a 20 m²/215 sq.ft of private terrace, bathtub and shower bathroom, free access to fitness center and indoor swimming pool. A popular Beirut's restaurant attended by business travelers and local families, La Verrière is a refined place to taste fresh seasonal international and Lebanese cuisine. Dine in the warm, art-filled restaurant or outdoors. Guests and locals love the cozy bar at restaurant La Verrière. Tall chairs seat a handful of guests and an array of international spirits are available. A perfect place to start or end your evening with the beverage of your choice. Whether for a quick bite in the lobby, an afternoon tea or a casual dinner, fine cuisine awaits. Fancy breakfast on the terrace ? The outdoor terrace is the ideal spot to enjoy breakfast and start your day under the sun. The hotel bar is an inviting space at all times to enjoy home made cocktails and fine wine . Select homemade foie gras or a Lebanese specialty such as Siyadiyeh, both freshly prepared with seasonal ingredients. With its beautifully dressed tables and flowers, the elegance of our gourmet Beirut restaurant is matched by impeccable service. Stop by the intimate bar area for a pre-dinner drink or quiet nightcap. A glossy wooden bar and warm lighting contribute to the relaxing mood. Select from local and imported wines, beers, spirits and cocktails. With a convenient location in Beirut we offer the ideal environment for meetings events seminars and weddings in the Lebanese capital. An on-site team assists with all aspects of event planning in this luxury business hotel in Beirut. Two versatile rooms Salon Vieux Beyrouth and Espace Gabriel can be customized to suit the setting and mood of your event from a professional meeting of 25 to a lavish cocktail party for 300. 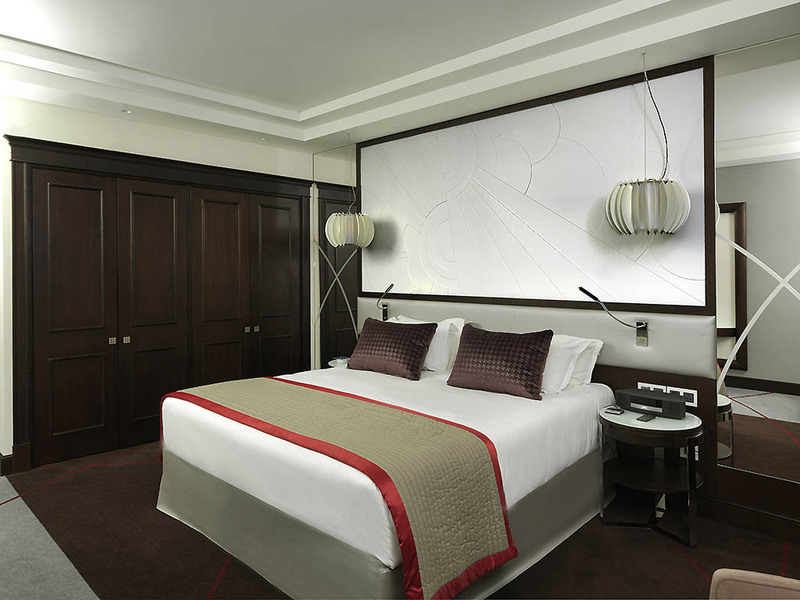 Our Beirut event rooms feature warm decor and are equipped with modern audiovisual facilities and Wi-Fi. A 24-hour business center is at your service along with custom catering facilities for successful business and social events in Beirut. Espace Gabriel is a gorgeous wedding venue for up to 200 guests for dinner or 250 for cocktails. Customize cuisine, live entertainment, flowers and decor to produce the perfect wedding. Brides and grooms receive a complimentary night at the hotel. Whether to stay fit or unwind after a busy day, the fitness center with its indoor heated swimming pool offers an exceptional way to exercise and relax. The hotel does not have a SPA but a steam bath, sauna and massage upon request are available. Enjoy personal service in a luxury Beirut hotel with a tourist information desk, complimentary WiFi, custom tours, car rentals, valet parking, a fitness center and private taxi service to and from the airport. The hotel's indoor pool is accessible all year long, along with sauna and steam bath. It is the ideal place to relax body and mind, after a busy day in Beirut. Wind down after a day in Beirut at the hotel fitness center, equipped with cardio and weight training machines, a sauna, steam bath and indoor swimming pool. Massages are available.